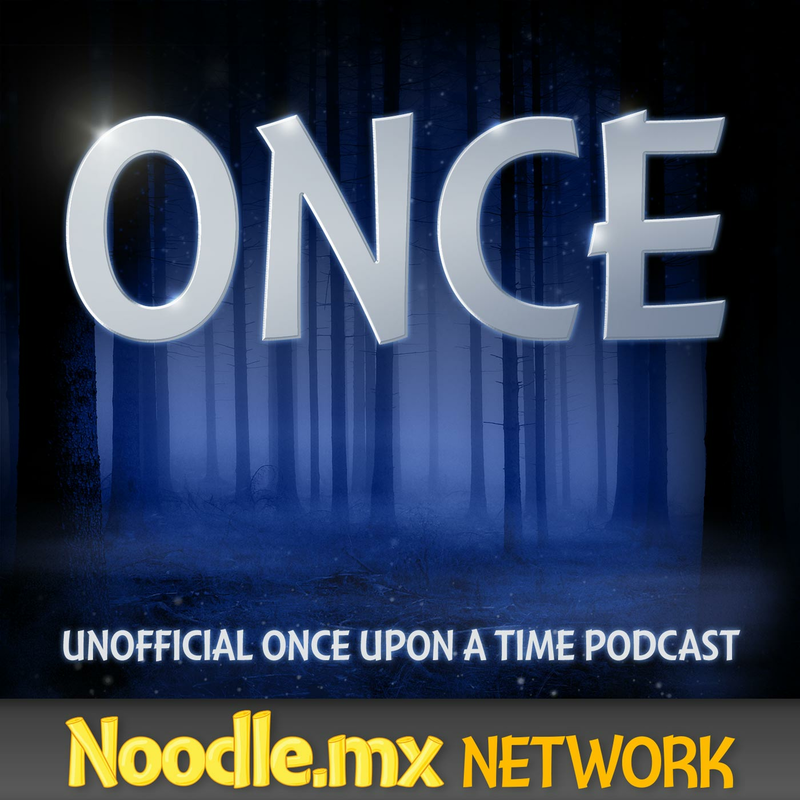 Alice and Cyrus’s story continues in the Spring premier of Once Upon a Time in Wonderland and while Cyrus has been freed, Will took his place after wishing to end all of Alice’s suffering. What will become of Will now that his role was reversed with the former genie? Can Alice, Cyrus, and the Red Queen really work together to save the Knave, or will Alice and Anastasia clash even before they determine Will’s whereabouts? How about Jafar? Now that he is ruling Wonderland, what sort of devastation does he have in store not just for his enemies, but the citizens of Wonderland as well? This episode doesn’t have any flashbacks, which is refreshing and kind of nice. Also, in this episode, fear was conquered in some way. Will is the genie now, but he is still not that good being one, probably because he is still a novice, resulting in terrible things. It was sad seeing a character like Lizard that we barely knew and was killed immediately. It would have been great if they showed a flashback of what it was like when Will and Liz were working together. It would have been a great character focus, not just for Liz herself, but probably to Will’s and the story as well. It was a bit confusing that Alice somehow forgot what happened, which wasn’t explained in the episode. Moreover, Alice said that her plan was to find the bottle, save the Knave and leave Wonderland, but where would they go? Where did Alice want her and Cyrus to go? With Will not having a heart inside him, can he get away and leave? If and when he gets his heart back, can he be free of the curse of being a genie? Resetting the Red Queen to who she was was a great character development. However, it sounded like her Red Queen’s current accent was different from her royal self; more like Will. But before the Red Queen was captured, Alice seemed to leave out the fact that she was imprisoned. Did she simply not want to give the Red Queen the satisfaction of knowing what she went through? Back to the Red Queen, though, it was nice to see that she didn’t try to deny what kind of a queen she was with the townspeople. The timeline in ruling is still somewhat confusing. If the White King ruled Wonderland when Anastasia became a queen, does that mean that Cora, the Queen of Hearts was also ruling at the time? There was also a tiny little reference to the Queen of hearts in this episode when Will was told “Don’t steal the tarts, knave. Off with your head, knave” from Alice’s Adventures in Wonderland. 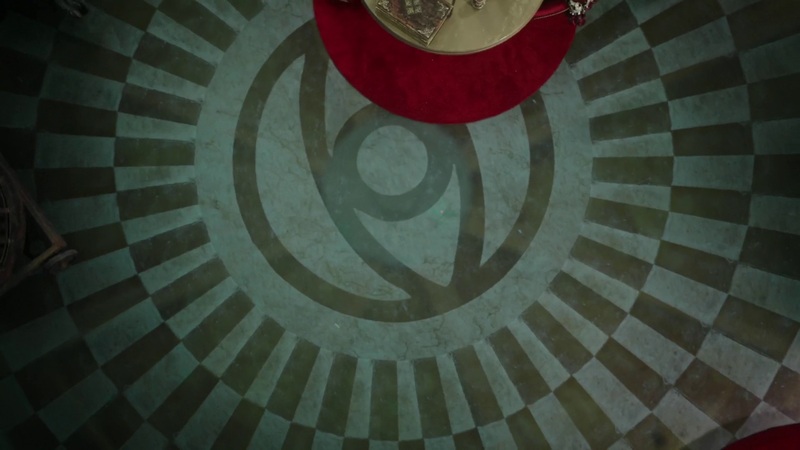 In Jafar’s new floor, an all-seeing eye was seen, as well as an image of a spider. Does that mean that Jafar rebuilt the Red Queen’s old castle? Jafar reinstated the Tweedle who helped him do his dirty deeds, but what happened with his brother? It was great knowing more of Cyrus’s backstory. Knowing that he was taught some basic spells by his mother and that the other two genies are his brothers seemed like we are on for a flashback in the next coming episode. Why did Alice’s necklace started glowing when they were about to be attacked by the Mome Raths? Is it love (in whichever form) that triggered it? Cyrus once said that it would grow when they were near each other, so what does her necklace glowing mean? What will be the end game of the story? Is Will going to stay a genie? Can he and the Red Queen fall back in love now that she is on their side? Is there anything that she can do with her wishes, such as wishing for no more wishes? What is she going to do with her three wishes? Will the Red Queen free Will like how Will freed Cyrus? Moreover, did the Red Queen recognized Lizard? She seemed genuinely upset seeing Liz dead. And ye mome raths outgrabe. 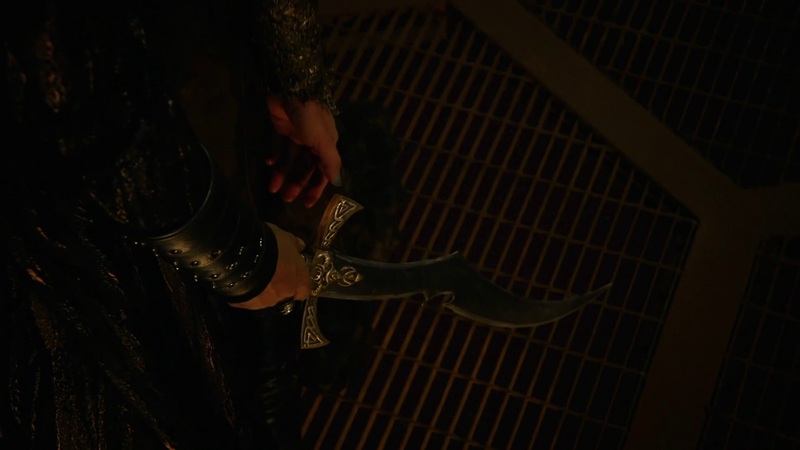 Does that mean that she was pinned by the Vorple Sword, Wonderland’s most powerful magic? The Jabberwocky is said to prey on a person’s most terrifying thoughts and greatest fears. Can the Jabberwocky shapeshift, too, just like Maleficent? There are also many similarities between what we saw of the Jabberwocky and the show Charmed and Buffy the Vampire Slayer. In Charmed, there was a character named Barbas who is a Demon of Fear, using the innocent’s greatest fear against them, and the only way to fight off Barbas is to conquer your fears. Since Once Upon a Time in Wonderland also talks a lot about hope, it would be fitting that they bring some fear into the mix. With only four episodes left, where could the story go? Now that two of the most evil beings in Wonderland has joined force, what is Jafar and the Jabberwocky planning against Cyrus, Alice, the Red Queen and Will? Are the four of them really enough to defeat these Jafar and the Jabberwocky? Share your thoughts by sending us an email or using the comment section below. You can also join us in the forum to share your theories with fellow fans!